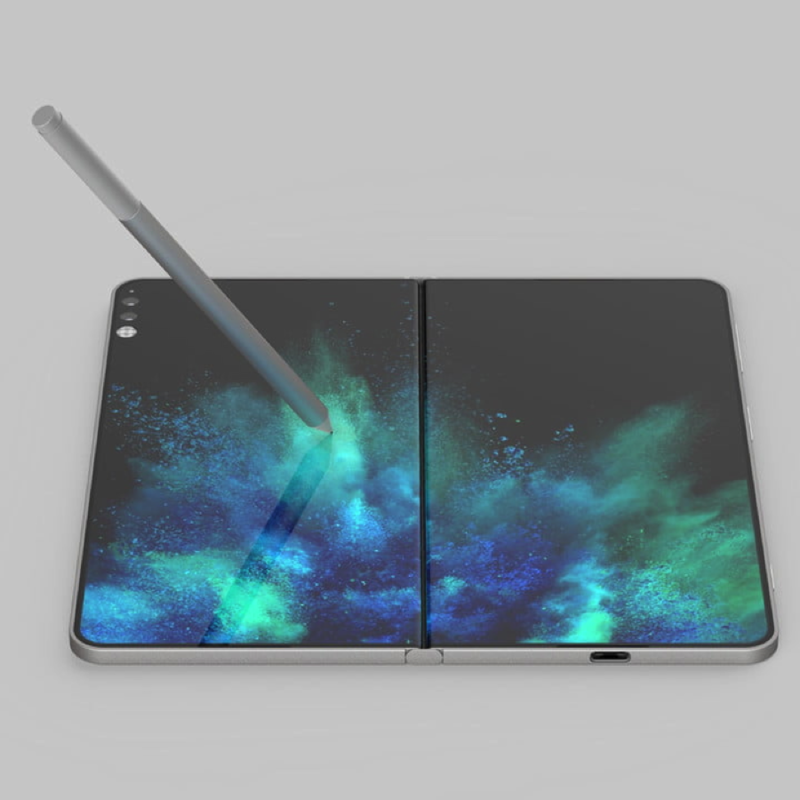 Even though Microsoft did not launch its much-anticipated dual-screen Andromeda tabletat the Surface Event on October 2, the company may still be pursuing its dream of creating the ultimate pocketable computing device. Microsoft was previously rumoredto be working on the device, which has been leaked numerous times for at least two years. “We will invent and we will create when products are right,” Microsoft Chief Product Designer Panos Panay said “We can’t bring new categories into the world and not be a place where customers need it.” The device was rumored to launch under the Surface brand and likely take on the Surface Phone name. Unlike other dual-screen PC concepts seen earlier this year at the IFA trade show, such as Lenovo’s cool Yoga Book, Microsoft’s design calls for a more pocketable device. However, more recently and ahead of the October 2 event, industry insiders speculated that Microsoft had shelved Andromeda, claiming that Microsoft may not have found a use for the device. Now, it looks like Panay confirmed those speculations, since Microsoft claimed that it established the Surface brand to push the industry forward. When the company launched the Surface Pro, it proved it could make a unique and functional tablet. Though initial versions of the tablet didn’t gain mass appeal, the device inspired numerous copycats in the PC industry. Likely, to launch Andromeda, the device must offer a unique selling point to get consumers to covet the premium hardware. Yet, despite being reserved about finding a market for Andromeda, Panay seems passionate about such a device. “It’s absolutely my baby,” he said. The dream for Andromeda happened long before Microsoft launched the first Surface product. Even though Panay’s team may have begun development two years ago on this device, Microsoft teased a dual-screen tablet that could replace a notebook nearly a decade ago in a concept known as Courier. Last year, Panay said that the Surface Book 2 was his daily go todevice. If the Surface Phone were canceled before launch, it wouldn’t be the first time that Panay’s Surface team canceled a device because it thinks that there is not enough demand. Panay revealed in the past that his group was working on a 7-inch Surface Minitablet that could be used like a Moleskin notebook. Ultimately, the tablet never launched because Microsoft didn’t feel like it was different enough from other competitive offerings.